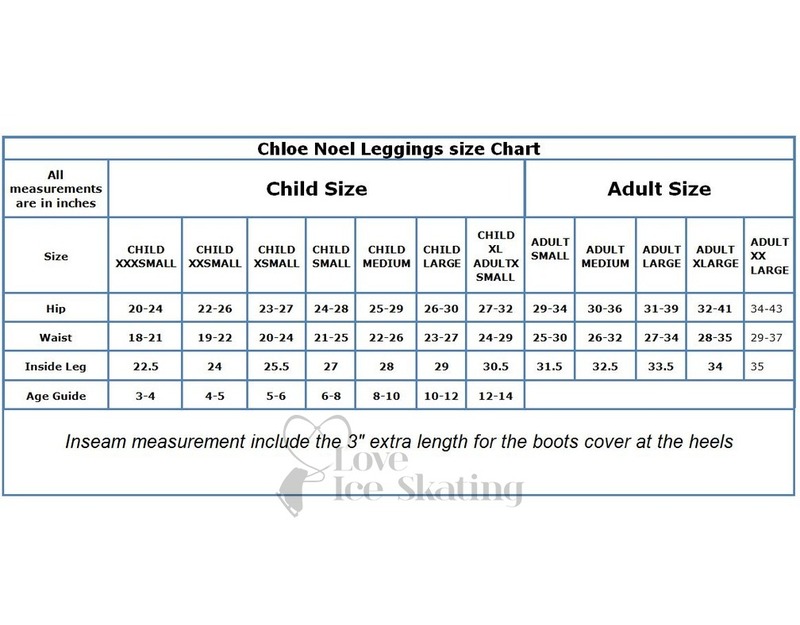 Long, boot-cut legs designed to be pulled down over the heel of your skating boots. 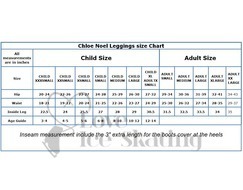 Features a comfortable wide waistband - same waistband design as the classic ChloeNoel P22 leggings. 87% polyester, 13% lycra. A lighter weight fabric with brushed fleece interior for the same warmth and comfort without the bulkiness of polar fleece. The smooth exterior with a tighter weave gives the fabric a little less stretch, but a more sleek look than the Chloe Noel polar fleece.